The hottest temperatures of the year are projected for your upcoming weekend. The warming trend continues today, and will intensify in your extended forecast. Skies will be sunny to mostly sunny today, but we will still have a slight chance for an isolated shower or two in Siskiyou County late this afternoon. 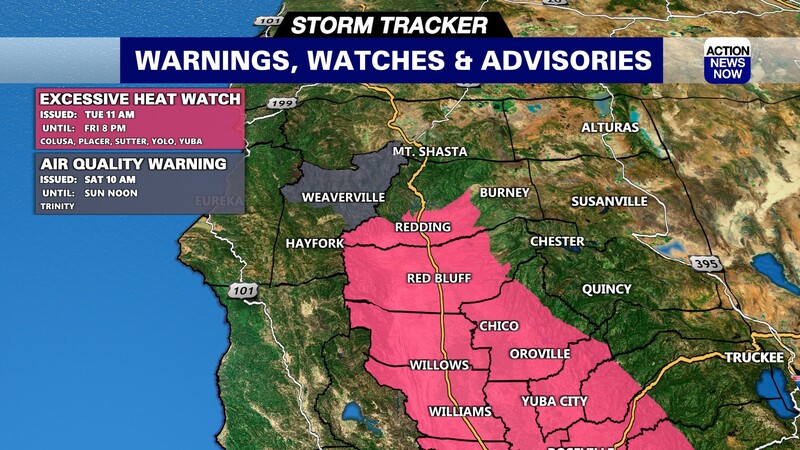 The majority of Northern California will stay dry today. 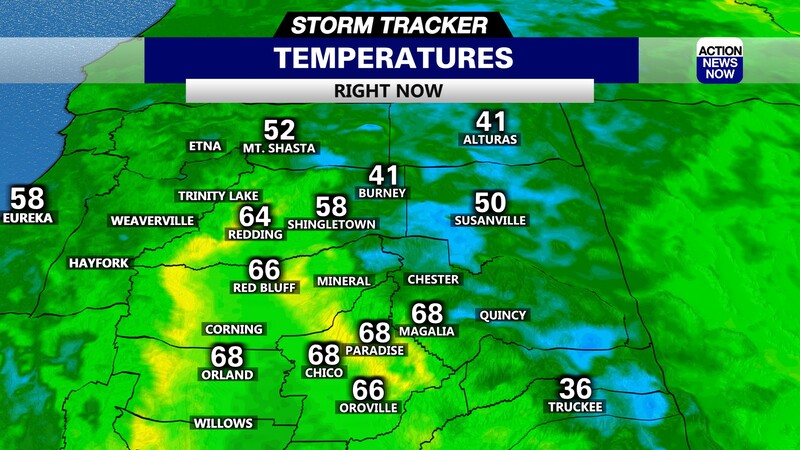 Temperatures are starting out in the mid to high 60's in the valley this morning, and in the 40's to 50's in the mountains. 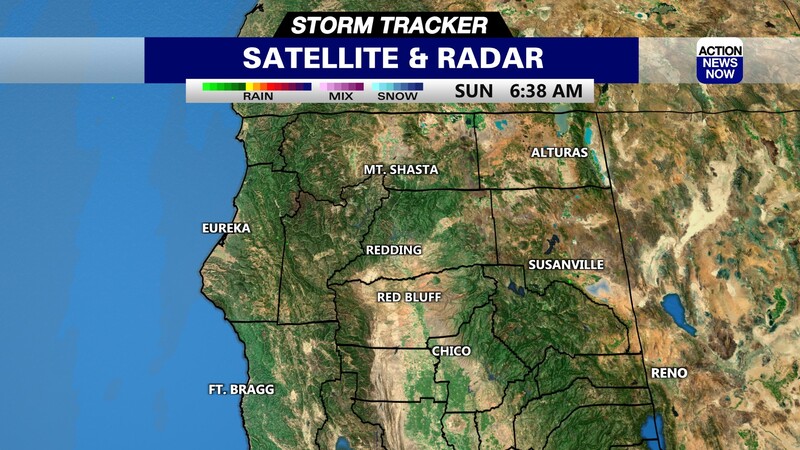 Valley areas will be sunny today, while mountain areas will still have a few clouds brushing through our area today. Winds will be out of the North to 10mph this afternoon, and humidity is expected to dip to between 15 to 25 percent today. High temperatures will end up in the mid to high 90's in the valley and mountain areas are projected to end up anywhere between the high 70's to low 90's this afternoon. Most mountain areas will top out in the mid 80's. The lower humidity, hotter high temperatures, and North winds will all help to result in higher fire danger this afternoon. Please be cautious with the elevated fire danger today, but also be aware that fire danger will increase for the end of the week. Temperatures will steadily climb by around a degree for the next 2 days, before a bigger jump in high temperatures is projected for Friday. Valley areas will end up in the mid to high 90's on Wednesday and Thursday. Skies will stay sunny to mostly sunny, but a few more clouds can be expected to brush through our area on Thursday afternoon/evening. There will be a chance for a little active weather to drop down into Siskiyou County from Oregon on Thursday, but showers and thunderstorms are not expected to dip further than that. South winds will help to keep high temperatures somewhat in check through Thursday, but a shift to North winds on Friday will put that to rest. Temperatures are currently projected to climb into the 102 to 105 degree range in the valley on Friday afternoon. The heat will intensify this weekend. Current projections for Saturday have valley areas topping out at around 105 degrees. Valley areas will then top out in the 105 to 110 degree range on Sunday. The heat this weekend will be severe, and could result in widespread heat related illness. Please be careful in the hotter temperatures ahead, and remember to keep a close eye on loved ones. The elderly, the very young, and pets are extremely susceptible to the heat, so you'll want to monitor those groups closely. Temperatures are then expected to be on the decline for the start of next week, but our current projections are still showing triple digit high temperatures on Monday.